We’ve noticed that there are many South Americans who bear striking resemblance to Hollywood actors. Tragically, by the time we began compiling an album for this exciting and worthwhile project, we had missed an opportunity to photograph an almost spitting Hugh Jackman look-alike and a perfect Mike Myers. It is often difficult to take the best photos because the majority of these people are complete strangers, who would probably freak out if we photographed them until we found one which best showed the resemblance- usually we only get one chance. We promise, however, that the South American people themselves all have the Anna, Sven and Nick stamp of approval, even if the photos do not do the likeness justice. 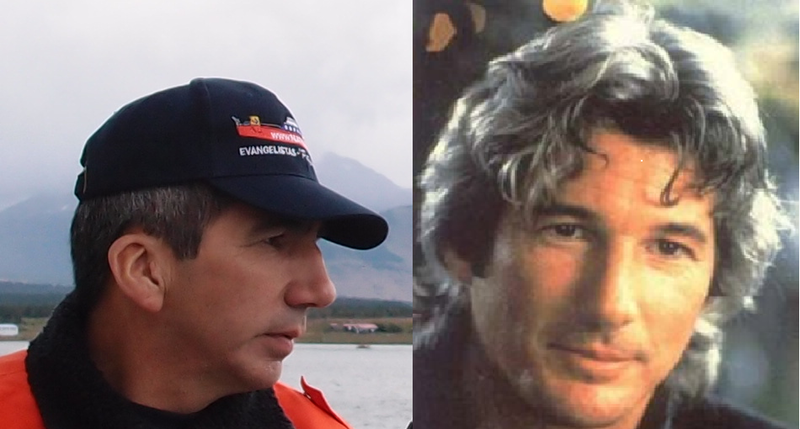 Richard Gere and a Chilean dock worker. Which is which?